Discovery of unexpected scenic beaches. Maghreb promises a perfect coastal experience. From the Atlantic coast of Morocco to Tunisian mediterranean beauty, experience the gentle breeze of this littoral region full of history. 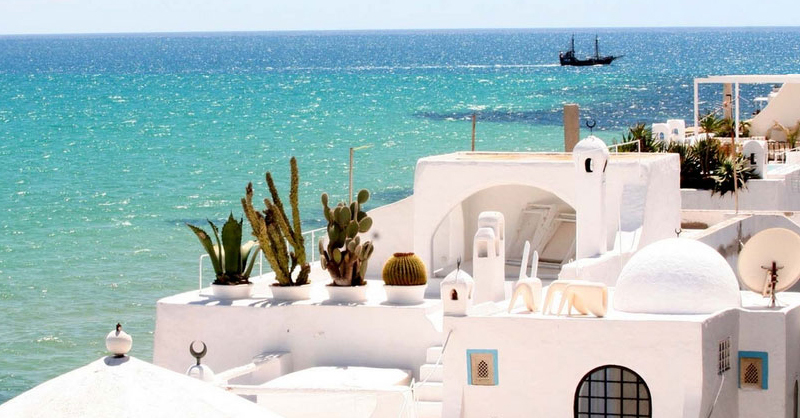 With a fabulous coastline, its 575 kilometers of sandy beaches and its string of islands paradise, Tunisia is one of the most famous destinations of the Mediterranean for a holiday by the water. Warm water and fine sand: the beaches are perfect for all the family. Strings of beaches, where nature and sports coexist in harmony – this is Morocco's seaside resorts on the Mediterranean. Tangier, among others, is a prized vacation destination that attracts a trendy crowd. For an all-beach experience, drop your bags at Tamuda Bay near Tetouan and join in one of the many water sports on offer, including scuba diving. Algeria has the longest coast of North Africa with more than 1300 kms. Its most important cities – Algiers, Annaba, Oran, Skikda and Mostaganem - are all located on the shores of the Mediterranean Sea, which forms the country's northern border. As the capital of Algeria, Algiers is also referred to as Alger la Blanche or El Behdja because of its white buildings glistening in the plentiful sunshine enjoyed by this North African country. Driving all along the coast is a unique experience full of surprises.